I used to make a cheat’s version of this recipe with two packet mixes, and recently I just thought to myself, ‘I wonder if this would taste better if I made the batters from scratch’. Oh boy does it. You just have to find an excuse to make this and eat it warm from the oven with some ice cream. 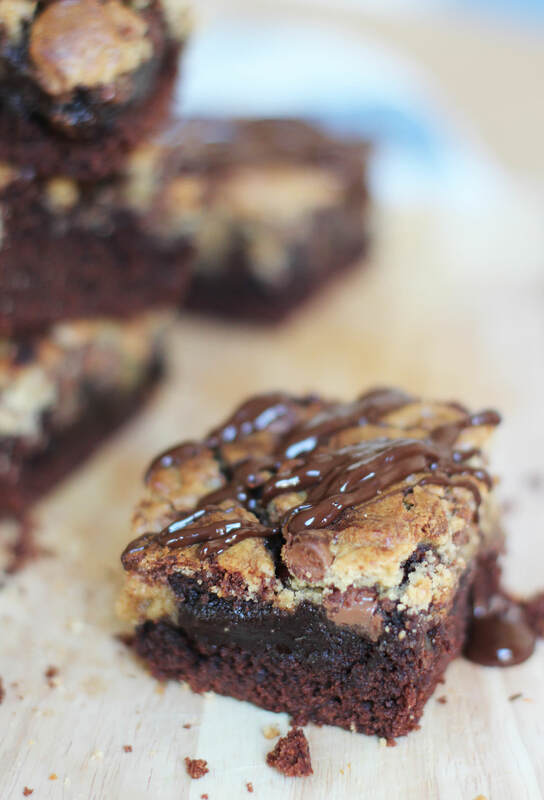 It’s very easy and quite a bit more impressive than regular brownies. 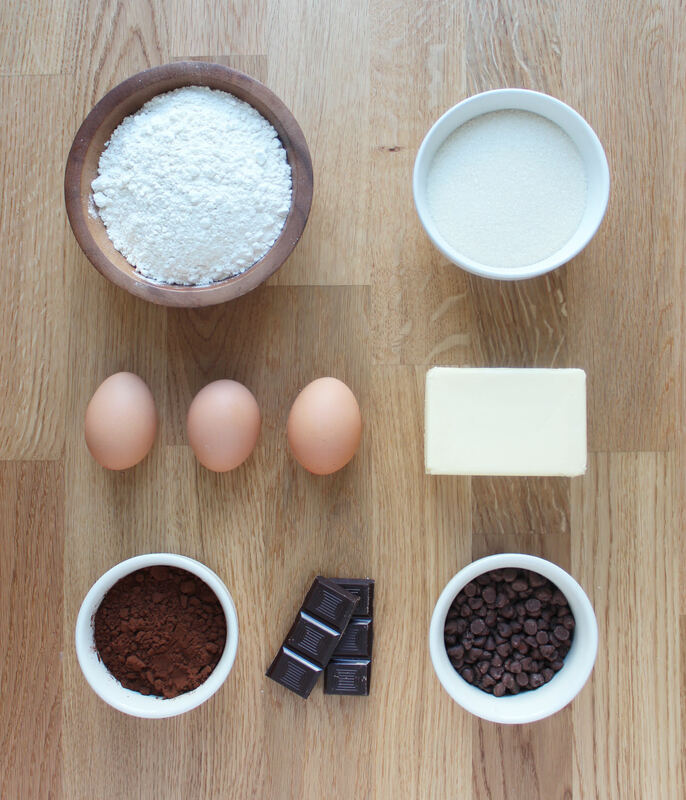 Starting with the brownie batter, mix together the baking powder, sugar, flour and cocoa powder. 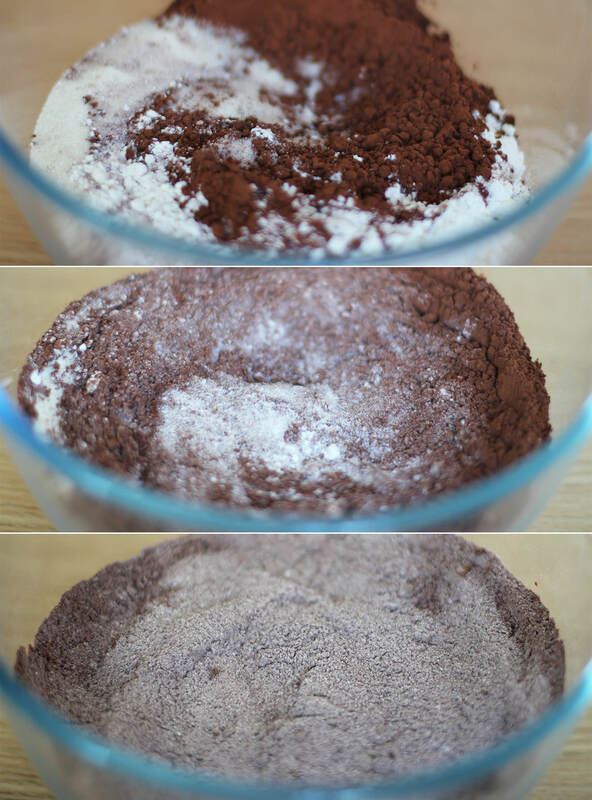 Make a well in the middle of your dry ingredients and add the eggs. 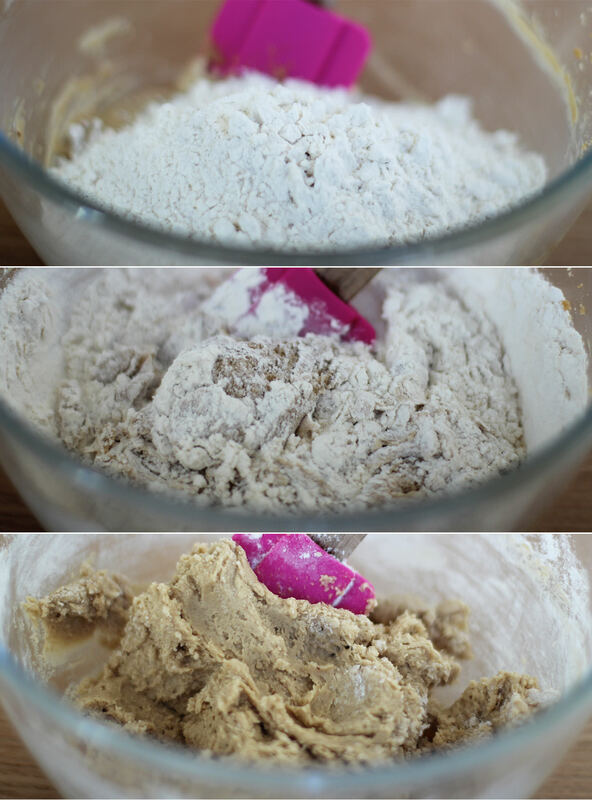 Using a hand whisk, combine gradually using small circles in the centre of the batter. Melt the butter in the microwave. Only until it has just about dissolved mind, or it will cook the eggs and this is not intended to be a recipe for scrambled egg brownie. Add the butter into the mixture and continue with your little circles until most of the flour is combined, then use a spatula or wooden spoon to fold in the rest. 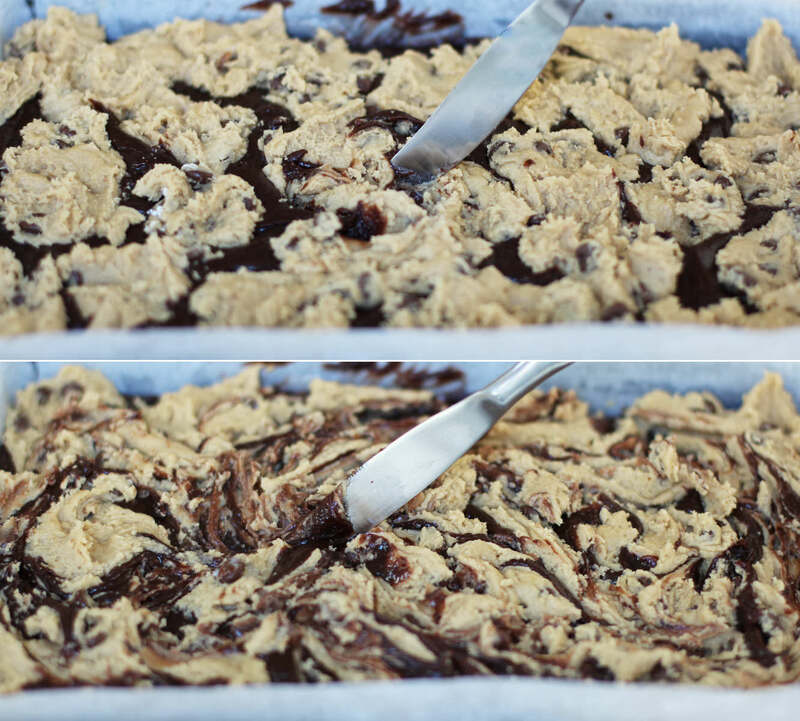 Pour into a greased and lined brownie tray and gently spread into the corners. Get a teaspoon and eat a bit. You know you want to. Beat together the butter, soft brown sugar and golden syrup. You might find it easier/quicker to use an electric whisk. Beat in the egg until pale, light and fluffy. 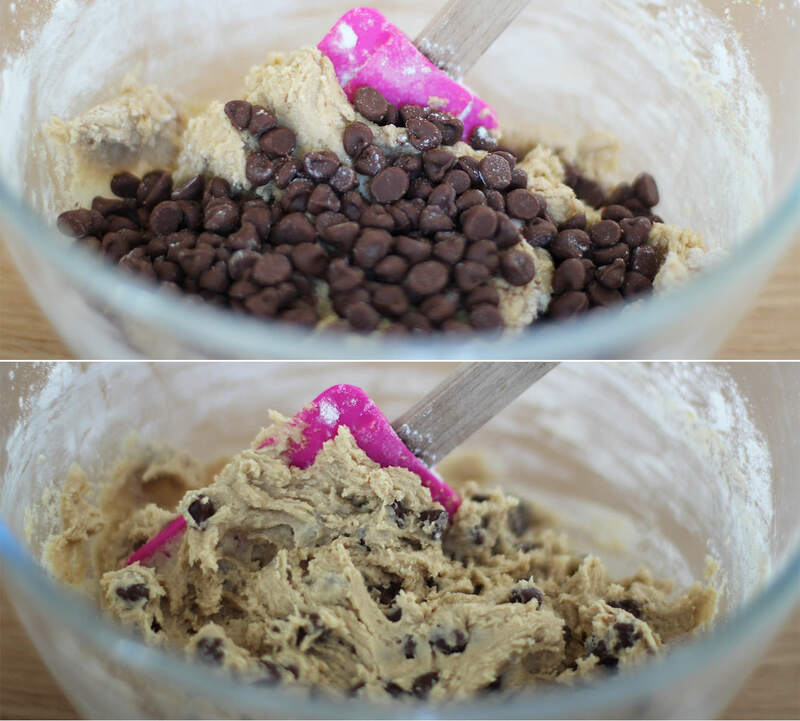 Fold in the flour and baking powder until you have a smooth dough. Time for another little taste. 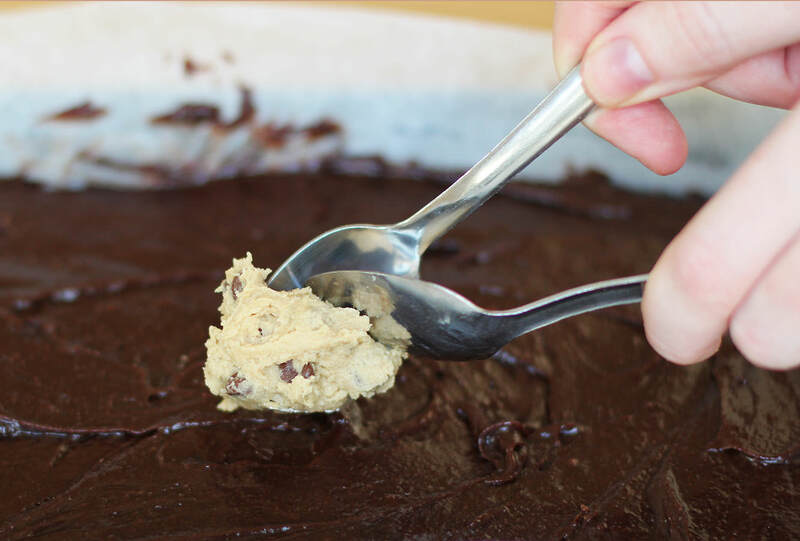 Using a pair of teaspoons drop blobs of the batter onto the surface of the brownie mixture. 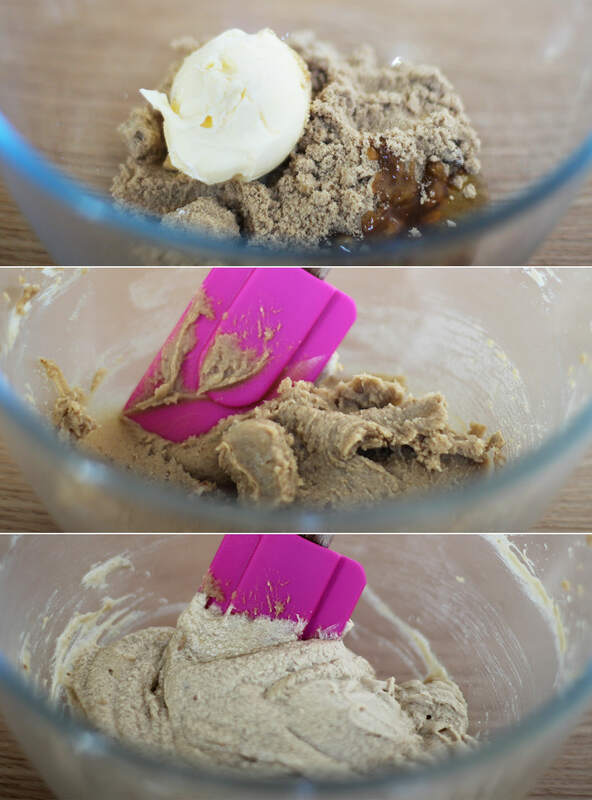 Push the cookie dough blobs down a bit with the back of a spoon and use a butter knife to make a marbled effect on top. Bake in the oven for 30-35 minutes on 180C/350F/gas mark 4. 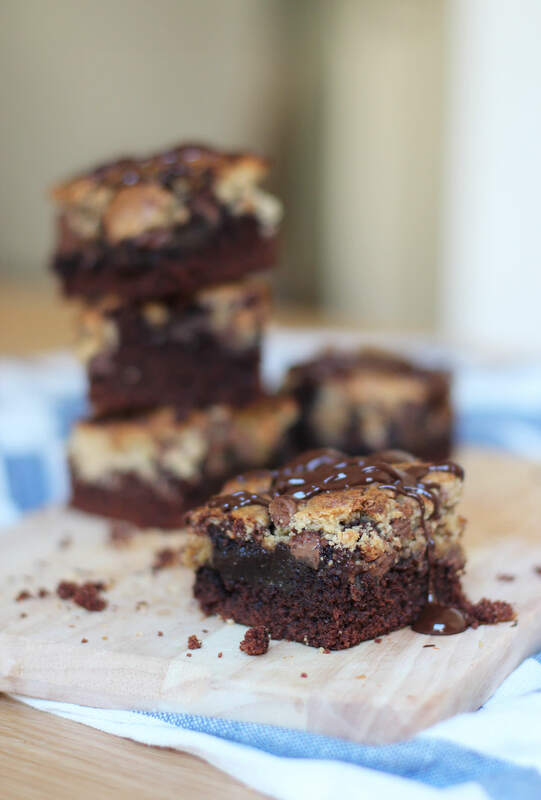 You want there to still be a bit of fudgey chocolate between the brownie and cookie so be careful not to over do it. 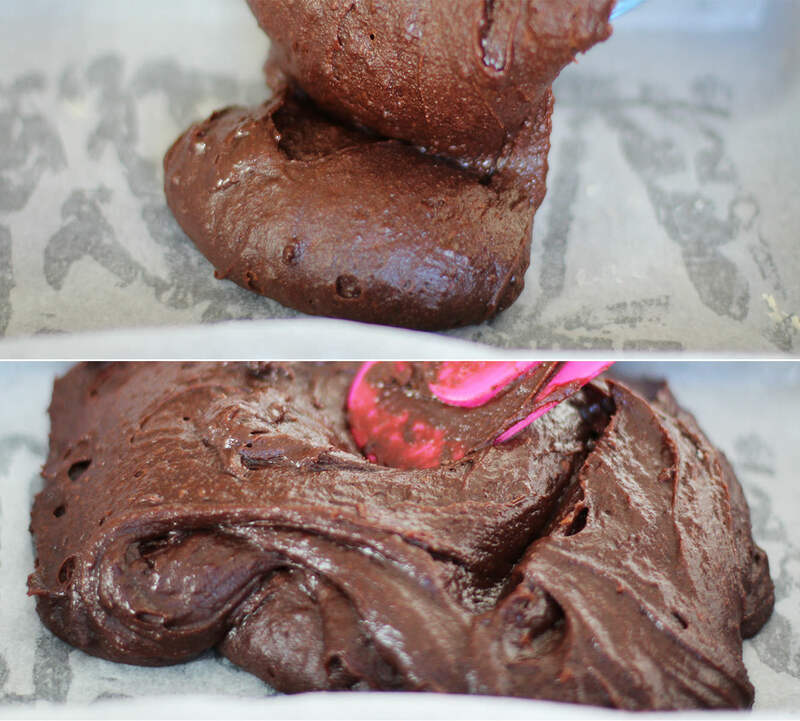 Melt the dark chocolate in the microwave and drizzle over with a spoon. Yeah. You are so welcome.